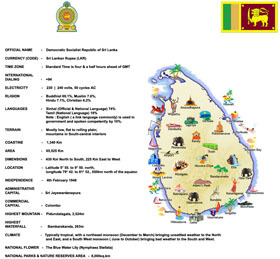 On an invitation by His Excellency Maithripala Sirisena, President of the Democratic Socialist Republic of Sri Lanka, His Excellency Ibrahim Mohamed Solih, President of the Republic of Maldives undertook a State Visit together with First Lady Fazna Ahmed, to the Democratic Socialist Republic of Sri Lanka, the bilateral component of which was on 5 February 2019. During the Visit, President Solih also attended the official ceremony held on February 4, 2019, to mark the 71st National Day of the Democratic Socialist Republic of Sri Lanka, as the Guest of Honour. President Sirisena and President Solih held official talks on February 5, 2019 in a warm and friendly atmosphere reflective of the special historic and traditional relationship between the two countries and examined ways for further strengthening the bilateral cooperation and people-to-people contacts. President Sirisena hosted a State Luncheon in honour of President Solih. In addition, Prime Minister Ranil Wickremesinghe hosted an official dinner in honour of President Solih. The two Presidents reaffirmed the deep-rooted friendship, where mutual trust, and respect, recognition of each other’s needs and the desire to support each other underpins the partnership between the two countries. The two leaders agreed to assert further efforts in strengthening trade, economic and cultural ties and reiterated their commitment to work together to promote regional peace, stability and prosperity. The two leaders reached broad consensus to enhance bilateral prospects, namely intensifying cooperation in political, economic, tourism, youth development, health, education and capacity building for mutually beneficial strategic partnerships. Reviewing the cooperation programme, President Solih, thanked President Sirisena for the invaluable contribution made by Sri Lanka in the socio-economic development of the Maldives. Further, the two leaders expressed their desire to continue the bilateral engagements within the context of the Joint Commission between Sri Lanka and the Maldives and agreed to hold the Fourth Meeting of the Joint Commission during the first half of 2019, in Colombo. The two leaders agreed to make further efforts in strengthening people-to-people contact through enhanced trade and cultural ties. They also reiterated their commitment to work together in reviewing the existing visa regime between the two countries to accommodate the concerns of the Maldives with respect to student, parental and guardian visas, and the concerns of Sri Lanka on long term business visas. Both leaders expressed satisfaction on the ongoing initiatives to strengthen existing cooperation in capacity building and youth oriented development. The leaders underscored the importance of expert’s exchange programmes and to continue the dialogue for cooperation especially in the field of education and health. While recognising climate change as a significant challenge to developing countries, both leaders agreed to work together to enhance cooperation to address the adverse impact of climate change through global and regional mechanisms and underscored the importance of the swift implementation of the Paris Agreement. Examining current global challenges, the two leaders reaffirmed the commitment of both countries to cooperate bilaterally to combat the menace of terrorism in all its forms and manifestations and to collectively counter threats posed by narcotics and other psychotropic substances. In addition to the bilateral discussions, a Business Forum was held during the visit in collaboration with the Ceylon Chamber of Commerce, where leading businessmen from both countries discussed in-depth, avenues for enhanced engagement. The business leaders acknowledged the potential in reviving economic ties through closer cooperation and agreed to set up an appropriate mechanism that will promote business, trade and investment cooperation, as well as enhance collaboration between private sector operators. President Solih thanked President Sirisena for the warm and gracious hospitality extended to him and his delegation during the visit. President Solih extended an invitation to President Sirisena to undertake a State Visit to the Maldives, which the President of Sri Lanka graciously accepted.